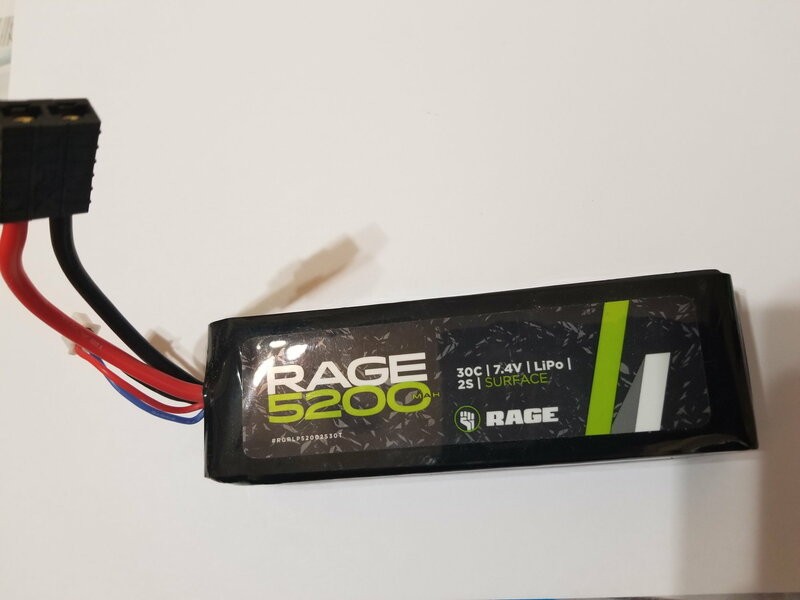 Rage 5200mah Lipo Battery with Traxxas connectorm 30c - 7.4v - 2s. Battery used only a couple of times. There is no puffiness. Last edited by pnman; 04-17-2019 at 06:39 AM. All times are GMT -7. It is currently 07:10 AM.